Judit has led the growth of Mosaic as CEO since its inception in 2012 until its merger with Northern in 2016, and as General Manager afterwards. 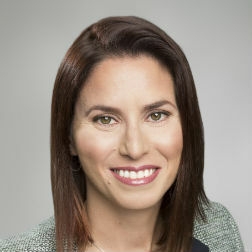 In addition, Judit is VP of Operations and Corporate Affairs at Northern Biologics, a Toronto-based innovative biotechnology company dedicated to developing novel therapeutic antibodies for the treatment of oncology and fibrosis. Prior to Mosaic, Judit was Associate at the Pipeline and Portfolio Planning team collaborating with the Oncology & Hemathology Franchise at Genentech Inc. (CA, US). Judit holds a Master in Business Administration (MBA) from Duke University (NC, US) with a certification in Health Sector Management and concentration in Entrepreneurship and Innovation. In addition, she received her PhD from the University of Barcelona (Spain) and has 10+ years of scientific career in translational oncology at the Vall d’Hebron Institute of Oncology (Spain). Judit is recipient of merit-based scholarships from the Spanish Association Against Cancer (AECC), Rafael del Pino Foundation, Caja Madrid Foundation and Duke University’s Julian Connally Scholarship. Joan Seoane is currently the Director of the Translational Research Program of the Vall d´Hebron Institute of Oncology (VHIO) integrated in the Vall d'Hebron University Hospital, Head of the Gene Expression and Cancer Laboratory, and member of the Executive Board of VHIO. 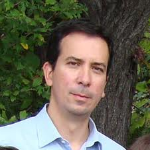 He is also an ICREA Research Professor and associate professor of the Autonomous University of Barcelona. He previously worked at the Memorial Sloan-Kettering Cancer as a Research Fellow and Research Associate. At VHIO, he has generated a multidisciplinary group focused on translational research in brain tumors. Joan's group has identified several therapeutic targets against cancer, his publications have generated more than 4000 citations and has collaborated with several pharmaceutical companies (Eli Lilly, Novartis, MSD) to develop anti-cancer agents.